All proceeds from his classes go towards children living with cancer. Would you attend a yoga class instructed by an 11-year-old? 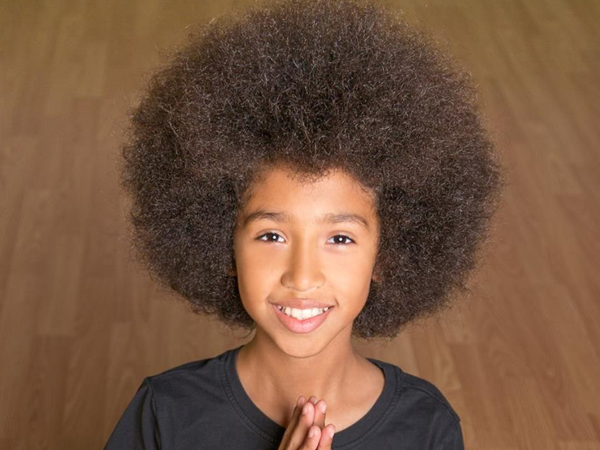 Eleven-year-old, Tabay Atkins has become the youngest certified yoga instructor in America after he completed his 200-hour yoga instructor certification course at just 10-years-old. As if his being an instructor at this tender age wasn't enough inspiration already, the story behind why he took a liking to yoga might be even more of a tear-jerker. When Tabay was just six, his mother Sahel Anvarinejad was battling cancer and during her recovery, Tabay would attentively watch her as she did yoga - which helped her during her recovery. Once his mother was certified, she began teaching at his elementary school and Tabay began to fall in love with yoga and learn as much as he could from his mother. At 10-years-old, when Sahel offered him either a summer vacation in Europe or a 200-hour yoga instructor course, he chose yoga. Sahel is now cancer free and has her own yoga studio where she teaches with her son Tabay. The young yoga instructor never charges for his classes but puts out a donation jar and all the proceeds go to children living with cancer. He is much loved by his students. "He is the sweetest person you will ever meet,” said Taylor Carey, 11, who attended one of Tabay’s recent classes at the family’s studio, Care4Yoga, in San Clemente.